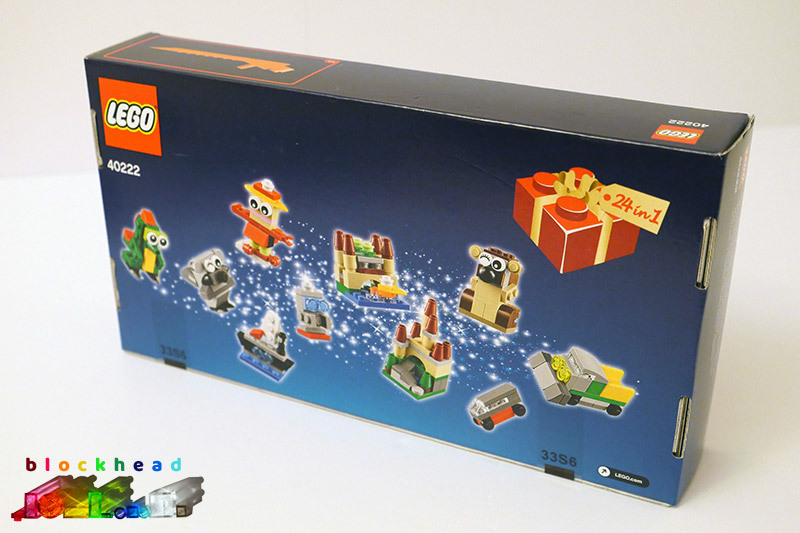 I know it’s the wrong time of year for Advent, but I recently swapped a spare copy of the 2017 Christmas Build Up box for the 2016 version (set 40222), with a friend in the London AFOLs. 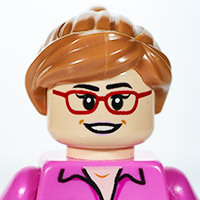 Like last year’s set, this one came in an attractive box showing some of the builds in store. There was an interesting pile of bits inside, with instructions how to make each of the 24 models. 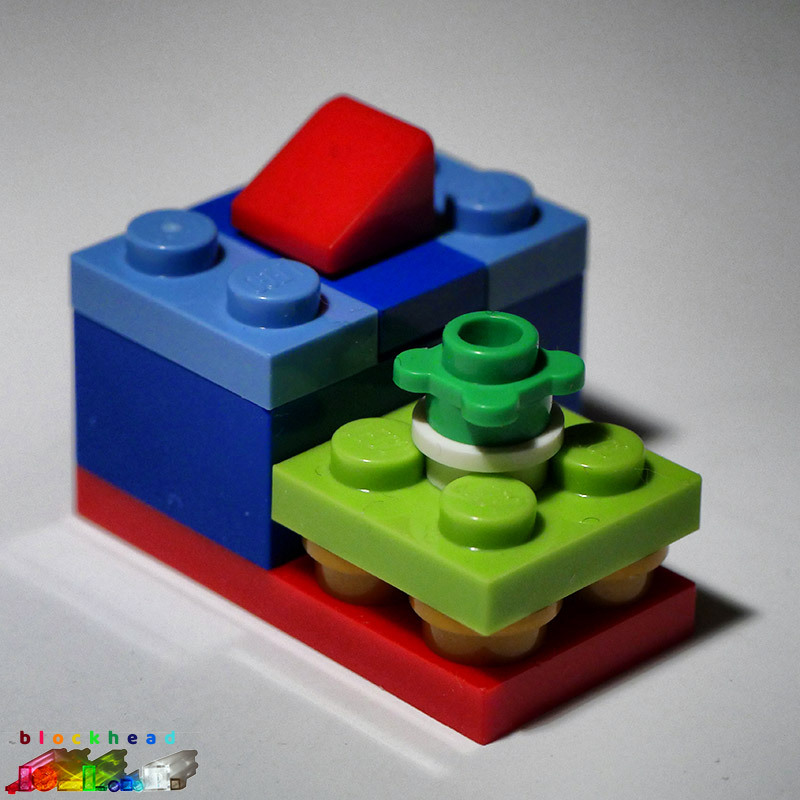 Of course, some of the parts will be reused, so you can’t build all of them at once. So I decided to take photos of them as I was going along to show you what they looked like. 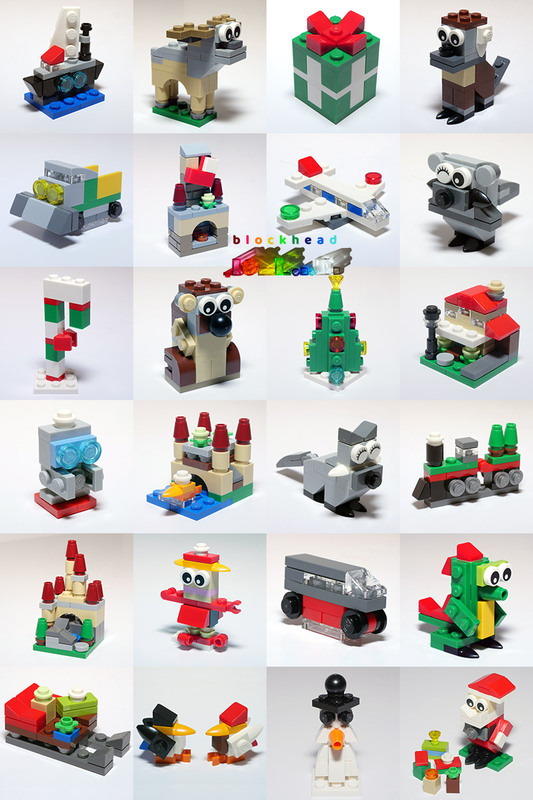 While not every model was immediately obvious what it was, I enjoyed each little build and have kept one or two intact for use in Micropolis – watch out for them in future! 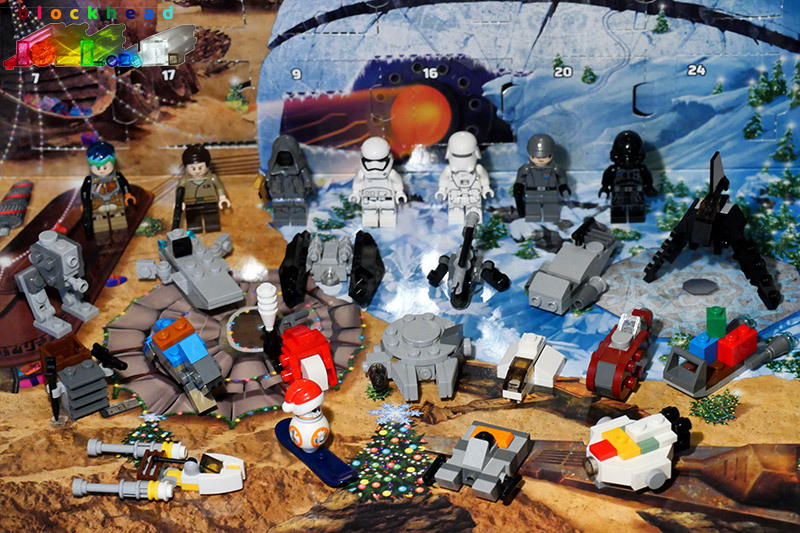 It’s time to do a recap of all the nice models I’ve built from the two Advent Calendar sets I’ve had. The Star Wars one had a model behind each door, so after building them all I have a nice set of Star Wars related minifigs and miniature builds. I may well break a few up but I like some of the Microscale spaceships enough to keep them for my Micropolis Space Port, to be built someday! They all look good posed together on the flap of the box. 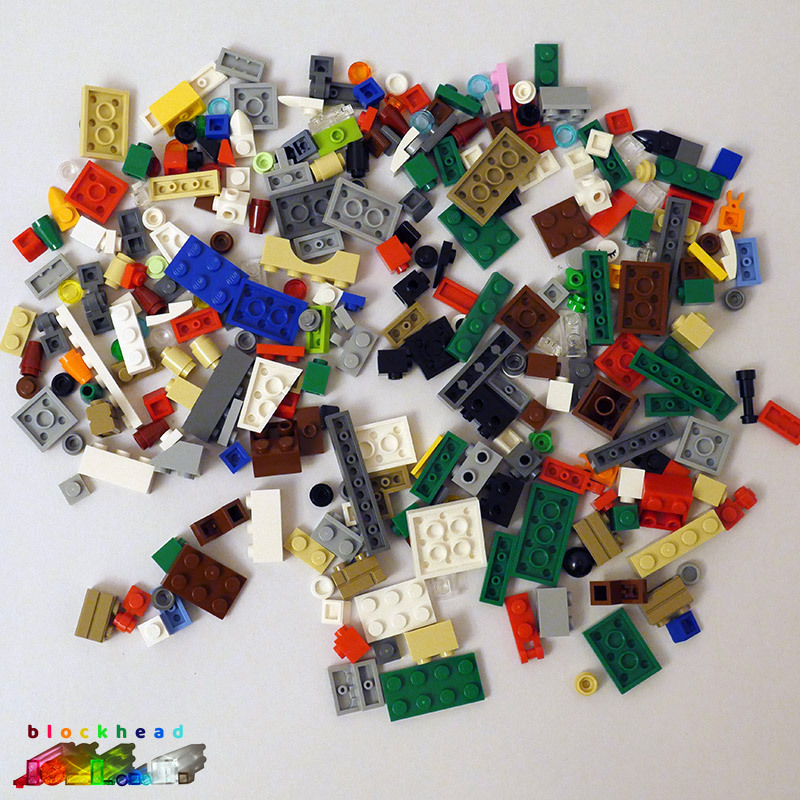 Unfortunately because many of the bricks are re-used for multiple models, you can’t see all of the 24-in-1 builds side by side. But here are a handful of my favourites from the set – I really enjoyed building all the models and with the odd exception, it was easy to see what they were, even if they were only tiny. 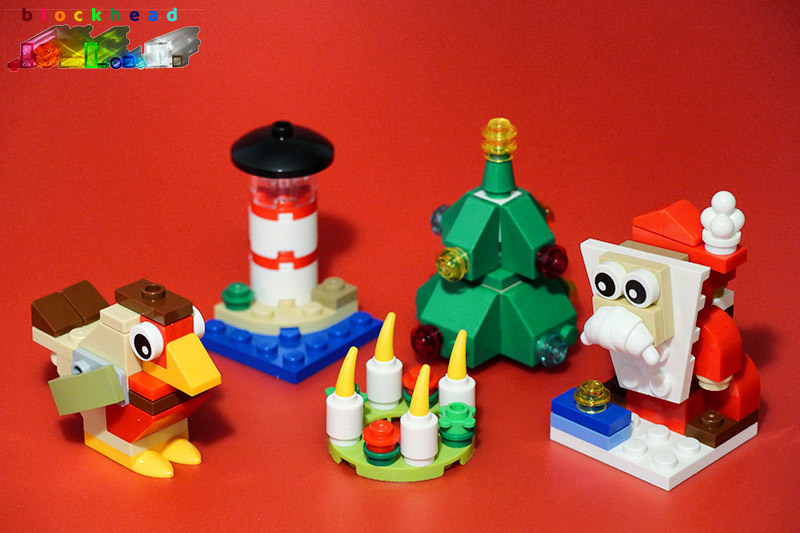 Two very festive builds today, on the last day of Advent. 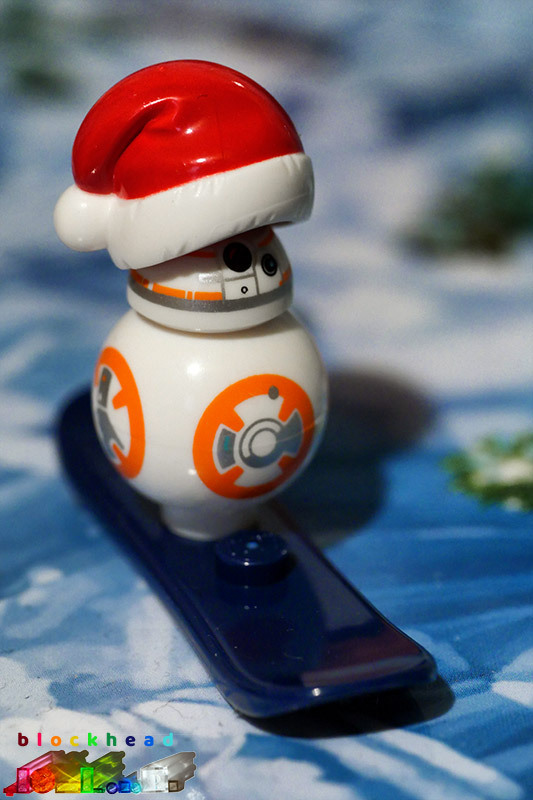 Star Wars gives us a snowboard-riding BB8 Minifig with a red Santa hat. I think they missed a treat here by not making him into a snowman – after all, he’s the perfect shape! 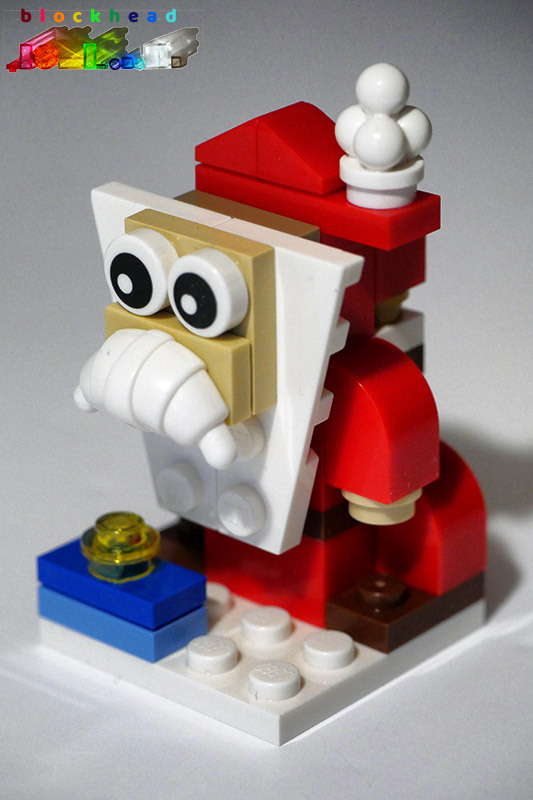 And of course Santa Claus himself features in the 24-in-1 build. He has a gift to deliver, and I love the use of the white croissant piece to represent a big bushy moustache to go with his beard! 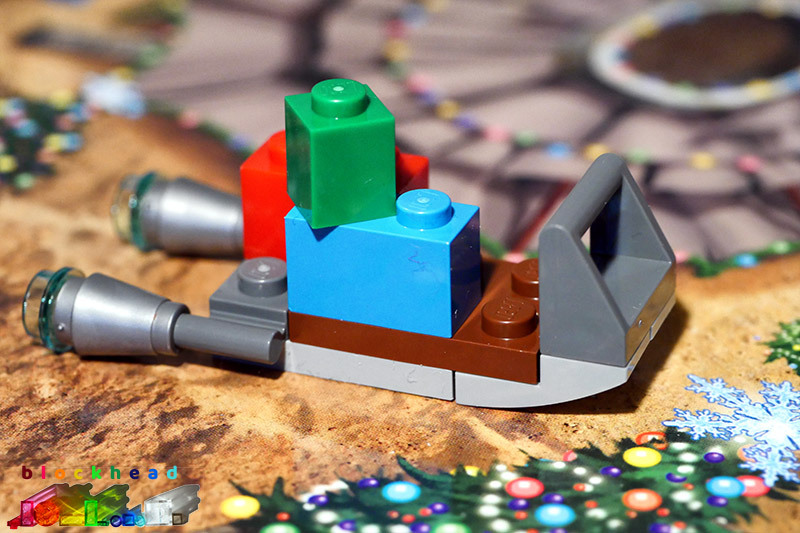 There is a handy hover-sled behind the Star Wars door today, just the thing to get those presents delivered – might as well start early to avoid the Christmas rush! 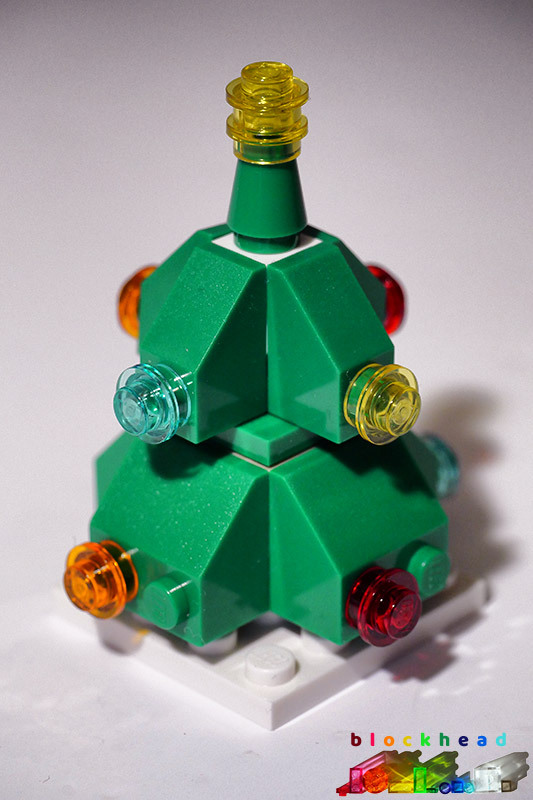 And talking of Christmas, this lovely little tree is the build for today from 24-in-1, festooned with ornaments. 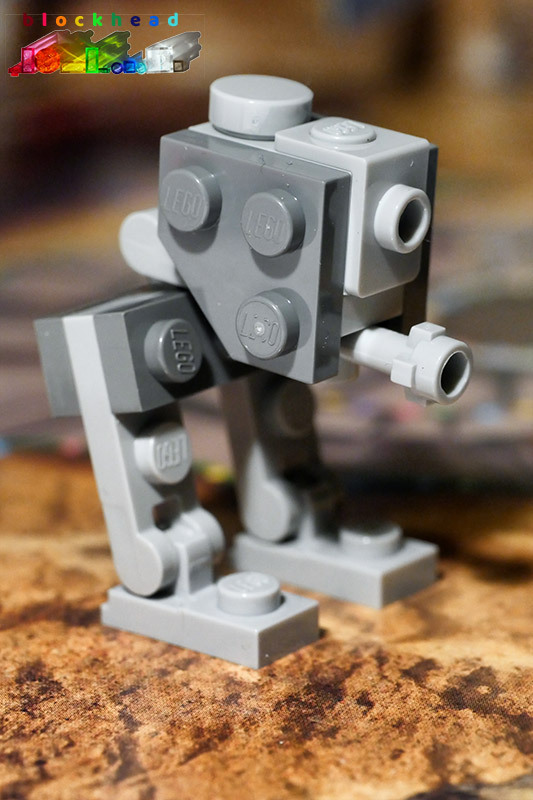 This is a miniature AT-ST Walker, which given its diminutive stature is actually pretty true to the right shape. I’m not sure it’s much of a threat though! Perhaps the pilot is heading towards the pile of presents which the 24-in-1 gave us today? Here! Hands off!